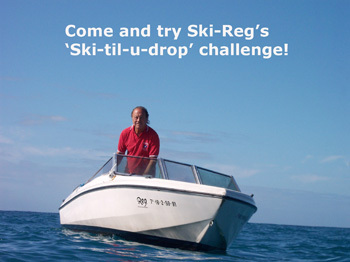 Experienced skiers welcome – have some real fun under the sun! The warm sun and gentle breeze on the sea makes the perfect combination for experienced skiers to hone their skills. So while on holiday, become razor sharp with some excellent technical and motivational coaching from our friendly extrovert! Let Reg and the perfect conditions challenge, and inspire you to ‘go beyond'. 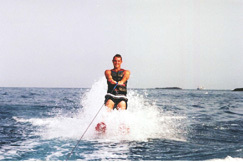 For those interested wakeboard tuition is also available.